Canada Farm Cemetery – Grave III. E. 18. Whilst Harold was born in Leigh, Staffordshire ( in about 1896) Five of his siblings were born in Uttoxeter. Harold’s parents were John Thomas and Eliza Berrisford and his father was a farmer. Harold enlisted in Newcastle, Staffordshire and served as a Gunner, Number 231755, in the Royal Field Artillery. He was part of ‘C’ Battery of the 76th Army Brigade. He was Killed in Action at the age of about 21 on 22nd October 1917 in the Ypres sector of the Western Front and is buried in Grave III.E.18 in Canada Farm Cemetery in Belgium. This is in the area near to Poperinge, on the outskirts of the Ypres sector. 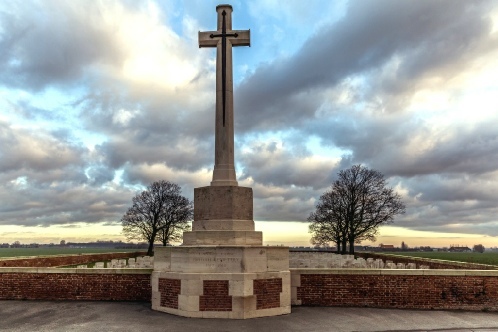 Canada Farm Cemetery was named after a farmhouse that was used here as a dressing station during the 1917 Allied offensive on this front. 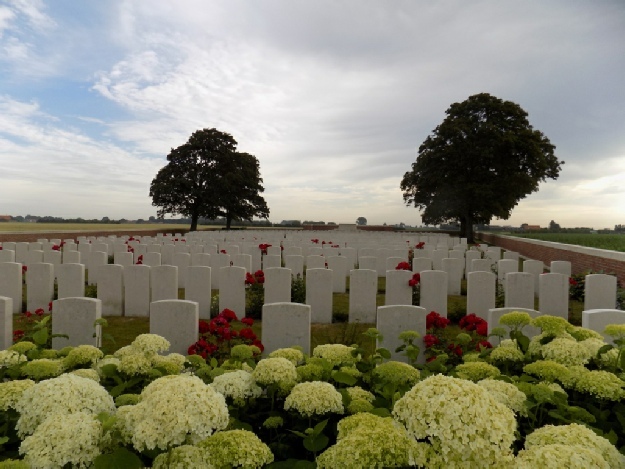 Most of the burials are of men who died at the dressing station between June and October 1917. It seems possible, therefore, that Harold was wounded taking part in the barrages for the Passchendaele offensive and brought to the dressing station here. Harold was awarded the British War Medal and the Victory Medal for his military service.